My Boyfriend Hates Makeup: Indie Goodness!! I LOVE Rainbow Honey! Indie Goodness!! I LOVE Rainbow Honey! Indie love time!! I love supporting small businesses and indie shops. 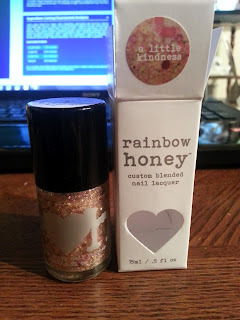 However, Rainbow Honey sends such an amazing, professional looking package and bottle that I am not even sure it is cool to call them an indie line! The top two shots are bottle shots of A Little Kindess, from the Equestria Line. The collection is based off My Little Pony and as a child of the 1980's (who may have her collection of MLP's at home still, tucked away safely), I HAD TO HAVE a couple of these! I heard so many good things about the polishes that I picked up A Little Kindness and Pinkie Promise, which I'll show soon. Here are a couple gorgeous bottle shots!! Here is Rosa with two coats of A Little Kindness and a single coat of NYC Clear Topcoat. 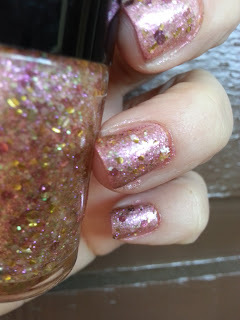 Rainbow Honey's description reads: "Rose, white, gold, and soft green glitters float in a delicate and sheer yellow base with an iridescent pink shimmer." 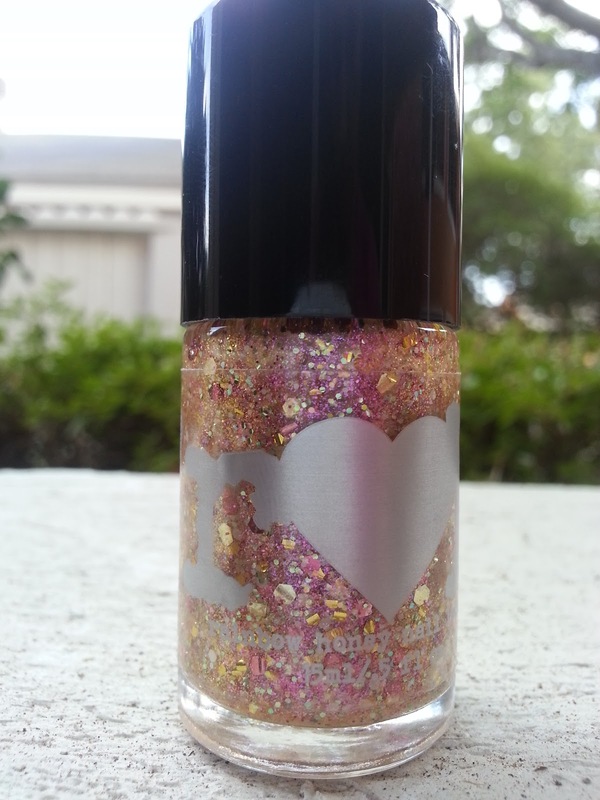 To get Rainbow Honey's in your life, CLICK HERE to go to their online store. The Equestria line is available NOW and a new gorgeous line, Sakura, will be released on the 18th. I was able to get Ephemeral and Matsuri Namesake...aaaaaaaand I got a mini Ephemeral for a Giveaway - details coming soon! 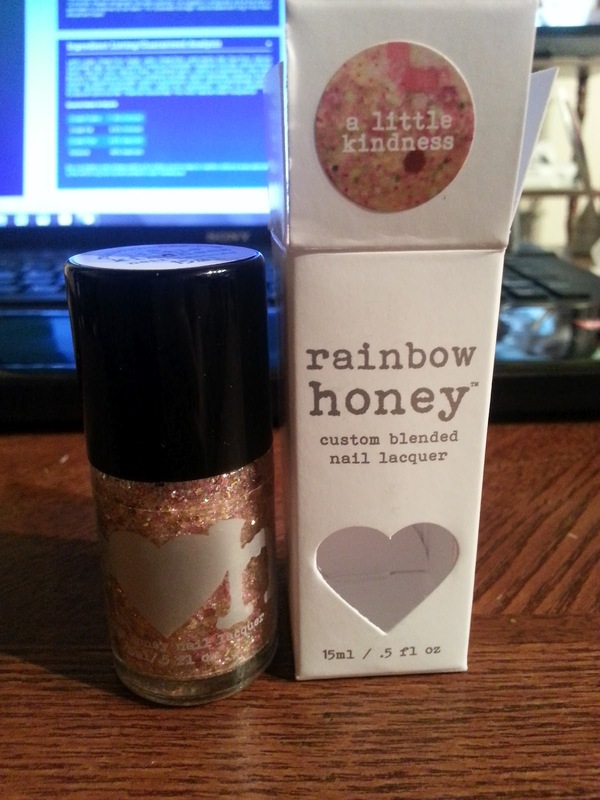 Rainbow Honey's are available on their site and are $10 and $5 for full and min-sizes. I have heard the mini's have large caps that make them tough to work with, but minis are great for trying out a new brand! Shipping is reasonable, too. Nothing gets me more ticked than outrageous shipping prices!!!! I cannot wait for the newbies to arrive. Love this brand and can't wait to watch it keep growing! 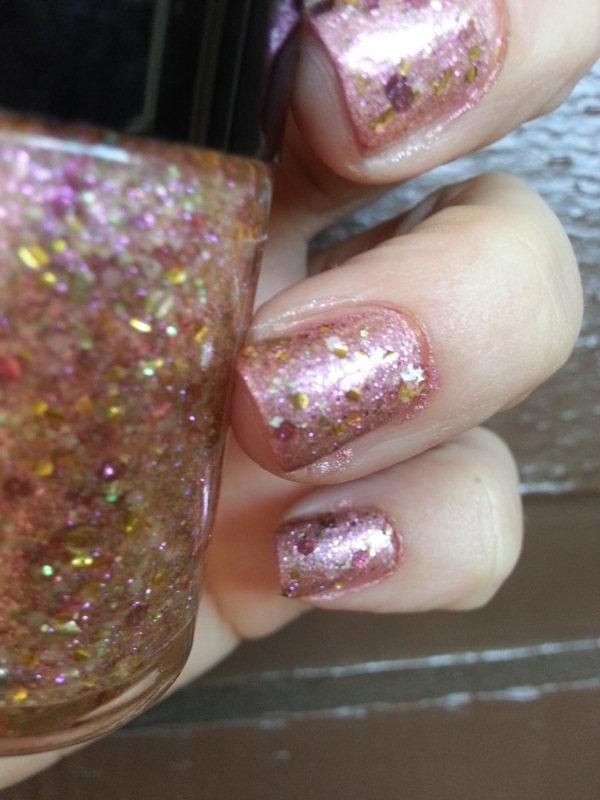 KB Shimmer Proud Peacock - Unique Indie Polish! Happy Birthday to my Grandmother! First Day of School Mani!! China Glaze - For Audrey - Classicly Pretty!! 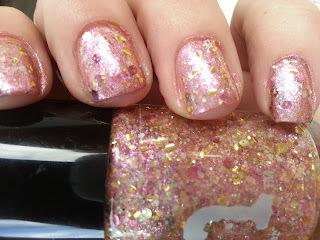 Rainbow Honey - Sakura 2012 Collection! 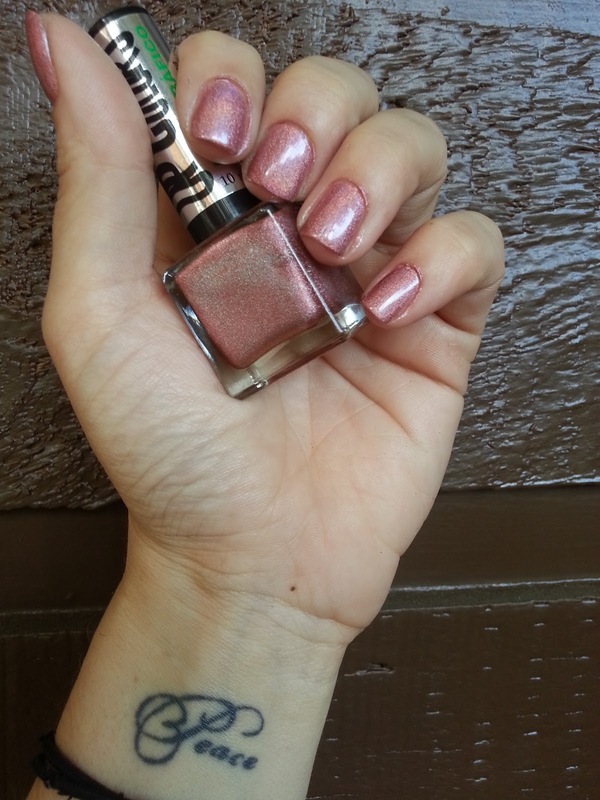 Orly - Pretty Please: Got to love Hautelook!! Boscia - Bright White Mask Review & Action Shots! Orly - Pretty Please: First Hautelook Purchase! Liebster Award!! Thank you to Muffin Nails!! Illamasqua Stance - Pics With Awesome Grid App!